Createspace Independent Publishing Platform, 9781546559177, 630pp. Welcome to Chase Blackwood's author bio, where he'll try to write something interesting about his life that captures your attention. Chase Blackwood's life has been defined by struggle the way a moth battles an insect zapping light. He's studied martial arts since childhood in an effort to overcome fear. He's lived in a half dozen countries in an effort to "find himself," traveled to over 50 countries in an effort to "find humanity," lived in nine states just for the hell of it, oh... and the military has had something to do with that too. Chase has enjoyed combating terrorism, working as a federal agent, and also really likes puppies. 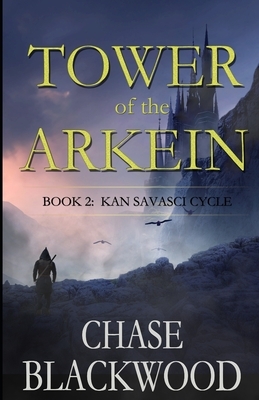 His most recent passion, puppies aside, has been working on the Kan Savasci Cycle, a series of fantasy novels that pulls from his life experiences to make the most vivid world imaginable. Stay tuned for a more romantic side...for the ladies, and guys, really for anyone who enjoys the genre.